If you know me well you'll know I have quite the sweet tooth. 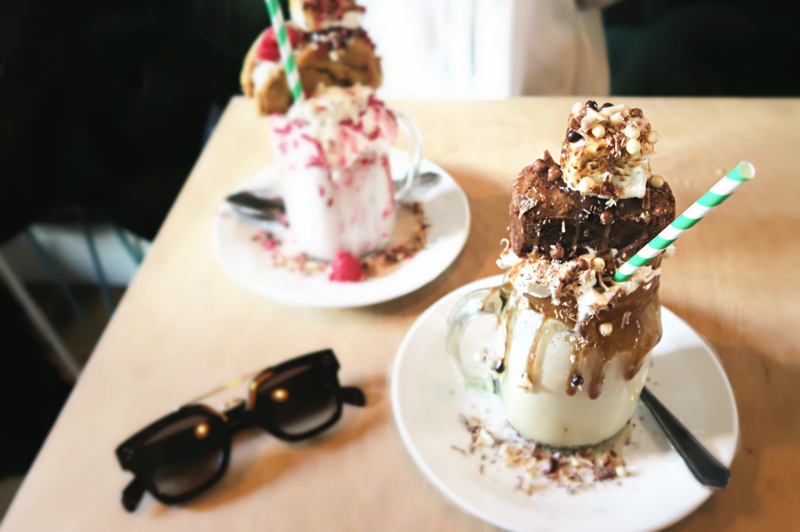 I'm that girl drooling over her iphone screen when I see anything sugar coated and drowning in carbs. So when "Freakshakes" started doing the rounds on Instagram it was a natural instinct for me to hunt down my nearest stockist. And that's when I came across Molly Bakes in Dalston. Originating from Australia, filled to the brim with real ice-cream and topped with your choice of brownie / cookie/ marshmallow or honeycomb; the Freakshake is a long way from home on this side of the pond but has already gone down a storm with us Brits queuing for up to an hour to experience the craze (believe me I've been there!). Biker Jacket - Zara. Dress - H&M. Ankle Boots - Forever21. Bag: Zara. Honestly, not so much after an hour queue to order and then another ten minutes to prepare. 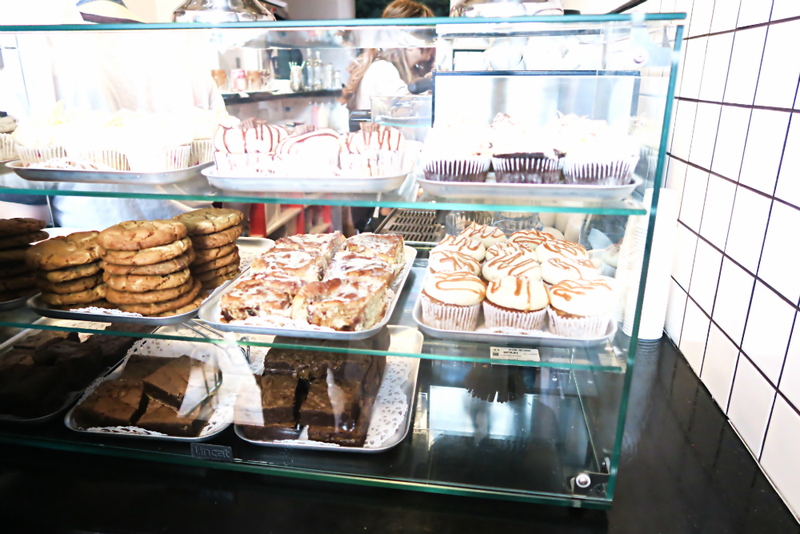 It is a little crazy the extremes us sweet tooth's will go to just to indulge and of course get that double-tap worthy snap for a like-minded sugar craver to drool over. But I guess that's all part of the fun! I can imagine now that the hype has died down, you'll be able to stop by with ease and treat yourself to what is a bloody delicious milkshake. 'Treat' being the prime word as they will set you back £7. But I can't say that put me off wanting to return and do it all over again! 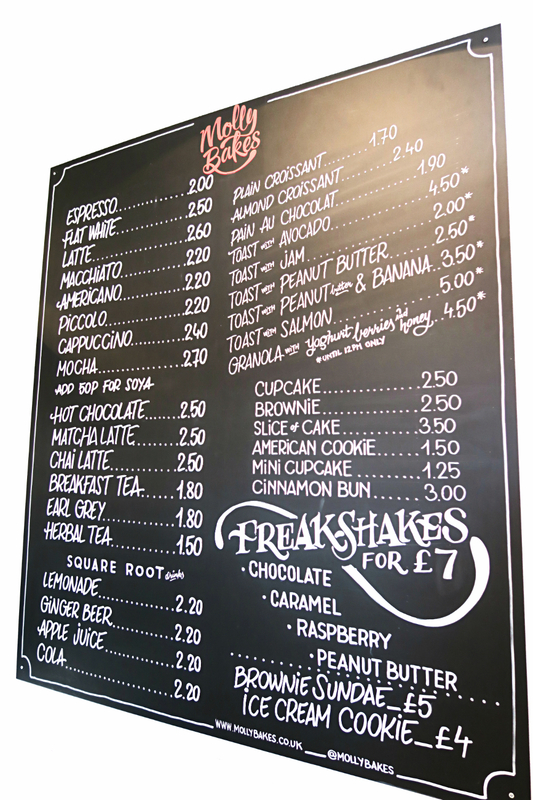 If you're considering a visit yourself be sure to get down an hour before closing as that's the last orders for Freakshakes. 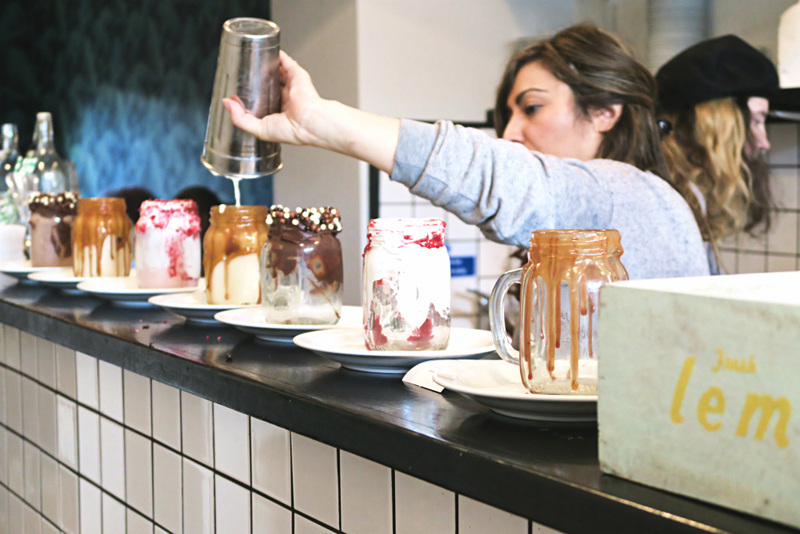 And if milkshakes Freakshakes aren't your thing there's plenty on the menu from cakes, teas and coffees and more food trend offerings such as avocado toast, peanut butter and banana on sourdough and croissants galore. All sourced from local suppliers.